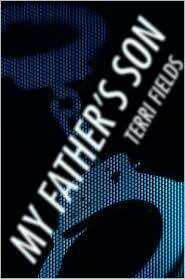 In Arizona author Terri Field’s new book, My Father’s Son, high-school junior Kevin Windor leads a normal life, until the day his father is arrested as the suspect in a brutal serial killing spree. He was caught trying to climb out of the latest victim’s bathroom window, and the press is quick to pounce on him as a monster. Kevin and his mom are shocked by the arrest – Greg Windor was a normal guy. As everyone starts to turn against his dad, and by association him, Kevin tries to believe in his dad’s innocence until the fateful result of the DNA testing is released. At that point Kevin really starts to spiral out of control as he struggles helplessly to piece together the truth about his dad’s secret life. The story is told from Kevin’s point of view, enabling the reader to experience these horrible events along with him. He bounces back and forth between confusion and anger so quickly that no one around him seems to be able to trust or understand him anymore – least of all himself. At times he’s almost clueless about what’s going on and his helplessness always channels itself into lashing out at someone. Up until the end, which has a “happy” ending that comes a bit too easily and neatly, it is a believable tale about the families and victims of violent crime and the emotional and social repercussions of rumor and celebrity.